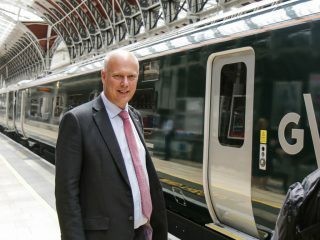 A report by MPs has criticised Transport Secretary Chris Grayling for the chaos that followed a train timetable change last summer. What it means: Last May, a bunch of UK train companies made some big changes to their train timetables and cocked it up massively. Thousands of trains were delayed or cancelled. Millions of passengers were left stranded. Train companies had to pay out millions of pounds in compensation. MPs have now released a report saying that the government, via their person-in-charge-of-transport Chris Grayling, is responsible for the mess. How train companies in the UK are run is a little complicated (deets here if you’re curious) but the trains themselves are basically owned by private companies who aim to make a profit. But even though the UK government doesn’t run the trains (as is common in many countries), MPs say it was Grayling’s job to intervene when things started going wrong. Meanwhile, rail companies have announced that they’re going to put up their fares by 3.1 percent. Passengers, unsurprisingly, have reacted with fury: UK train fares are already the highest in Europe. The upshot is that more and more people (including the UK opposition Labour party) now think that private companies can't be trusted to run UK trains anymore. Fans of privatised transport services say they give passengers better value for money, either because private companies have the business smarts to run a more efficient service than the government could, or because competition between different companies should drive prices down and quality up as they seek to snaffle customers from their rivals. The counterargument is that there’s no real competition between train companies (often, only one company runs a particular route). But if the government did decide to take back ownership of rail companies (renationalise them, in technical-speak) plenty of people might hope they find a new Transport Secretary first. Read our explainers on government ownership and competition.